The FBI officers have arrested a 20-year-old Tennessee man and charged with federal computer hacking for allegedly conspiring to launch cyber attacks on five organizations in 2013, including two universities and three companies in the US and Canada, federal law enforcement officials announced today. The accused named Timothy Justin French, who go online by the name “Orbit,” is a key member of the collective “NullCrew” hacking group, that claimed responsibility for dozens of high-profile computer attacks against corporations, educational institutions, and government agencies. NullCrew is a hacktivist group that came into light in 2012 after a successful cyber attack against the World Health Organization (WHO) and Public Broadcasting Service (PBS) in 2012, which resulted in plain-text username and passwords being posted online on Pastebin. The group, represent itself as a part of Anonymous hacking collective, has since 2012 carried out a number of similar high profile cyber attacks, including a successful infiltration into the servers run by the U.S. Department of Homeland Security last year. The accused was arrested without incident by FBI agents at his home in Morristown, Tenn., east of Knoxville, last week and is about to face prosecution in U.S. District Court in Chicago. French, who allegedly used the online handles such as “Orbit,” “@Orbit,” “@Orbit_g1rl,” “crysis,” “rootcrysis,” and “c0rps3,” was charged with conspiracy to commit computer fraud and abuse. The FBI has been working with a "confidential witness" to engage members of the NullCrew hacking group in a chat conversation on Skype, Twitter, and Cryptocat. 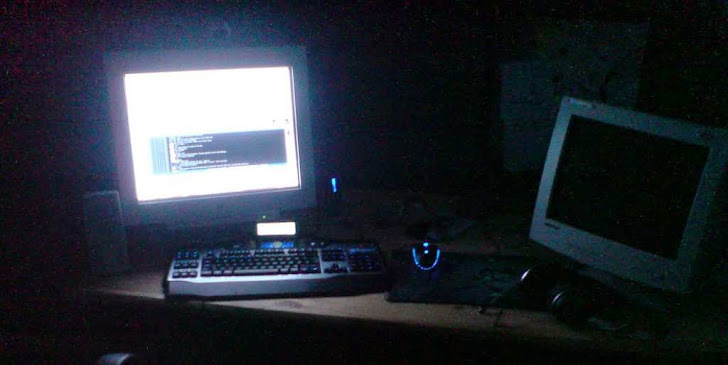 Unknowingly, during the chat conversations, the NullCrew members discussed past, present, and future hacking attacks and shared current computer vulnerabilities used in the attacks. With the help of these information, the Federal officers tracked the IP address of one of the computers used in those five attacks as well as during other online attacks, which later found to be at French's address in Tennessee. All the records found from the victims’ computers show access from the same IP address at or around the time the attacks. "Cyber crime sometimes involves new-age technology but age-old criminal activity ― unlawful intrusion, theft of confidential information, and financial harm to victims," said Zachary Fardon, who has appointed up-and-coming young Assistant U.S. Attorney for the Northern District of Illinois as a deputy section chief in charge of targeting Internet crime, in a statement. "Hackers who think they can anonymously steal private business and personal information from computer systems should be aware that we are determined to find them, to prosecute pernicious online activity, and to protect cyber victims," Fardon added. If convicted, French faces a maximum sentence of 10 years in prison and a $250,000 fine.